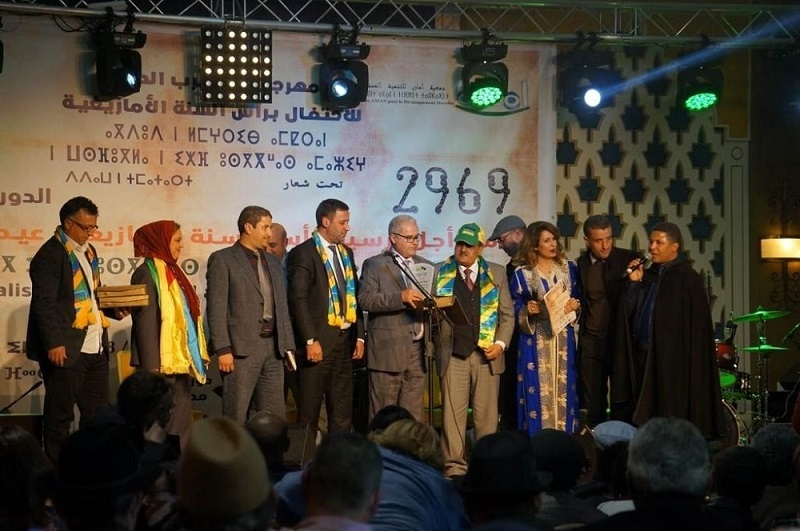 AMAN Association for Sustainable Development in the Kingdom of Morocco celebrated the Amazigh New Year 2969 in Fez on Friday and Saturday 12th and January 13th 2019. The first night witnessed the official reception of guests of the festival and the participating official delegations. 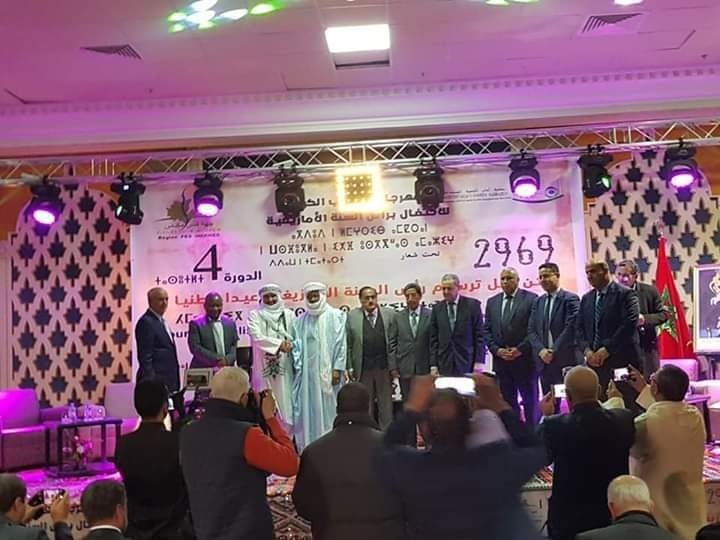 The festival was inaugurated with a speech by former minister and current president of Fas-Meknas, Mohand Laenser during which he launched the fourth session of this annual forum which was named after former Minister of Justice, Mohamed Aujjar. 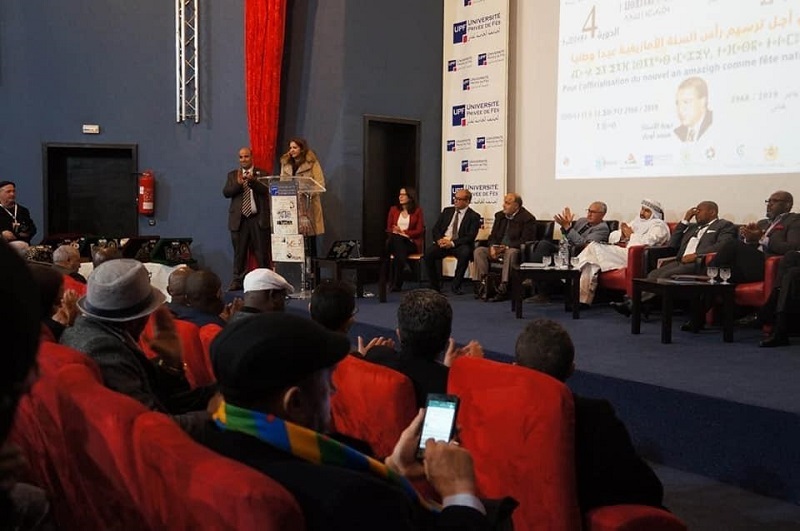 On the same evening, a large concert was held and brought together many popular groups including (Ahidus Tizwit - Qalaat MGouna), and Ahidus - Ifrane) which performed the region's popular arts and folkloric culture. The concert was also given by men artists, Abdelaziz Ahouzar and Mustafa Chahbouni, and female artist Tif Yor with independent shows that remarkably attracted the audience. On the second day of the festival, the Association held two scientific seminars. The first seminar was themed "Historical Approach to Social Institutions in North Africa", and the seconf seminar was themed "Peace in North Africa" . Both seminar witnessed the participation of a group of specialized researchers, academic professors and international experts. It is noteworthy that the festival in its fourth session in Fas-Meknas witnessed regional and international presence, including a group of prominent figures in the activities of civil society locally and regionally. Celebrants call the Berber New Year as " Yennayer " which means literally in Berber language, Yenn = One and Ayur = month. It is the first month of the Amazigh rustic calendar. This date still retains many rituals, customs and traditions, in celebration of the new rustic years and optimism for plenty of crops for farmers and their families.